Thanks again for all your support. I truly appreciate all the emails, phone calls, returned surveys, Facebook comments, mail, and any other way that you are able to reach out to me. Again, feel free to contact me anytime if you have any questions, concerns, complaints or comments. All of my contact information is at the bottom of this email. If you have issues or concerns please contact me. I am already working on several pieces of potential legislation with constituents for the 2016 session and would love to hear from you. As you may recall, this last Session, I was the chief sponsor of two campaign finance/election law bills. 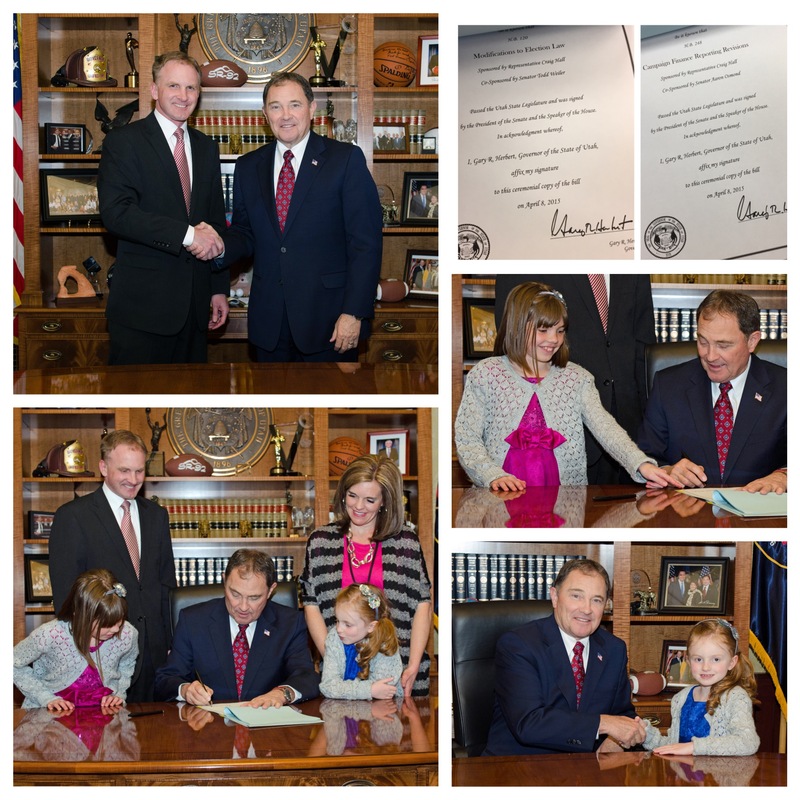 These two bills made Utah's laws better in a way that provide both clarity for the candidates and increased transparency for the voters. The Governor did a ceremonial bill signing two weeks ago recognizing my efforts. Thanks to all who helped with the bills. 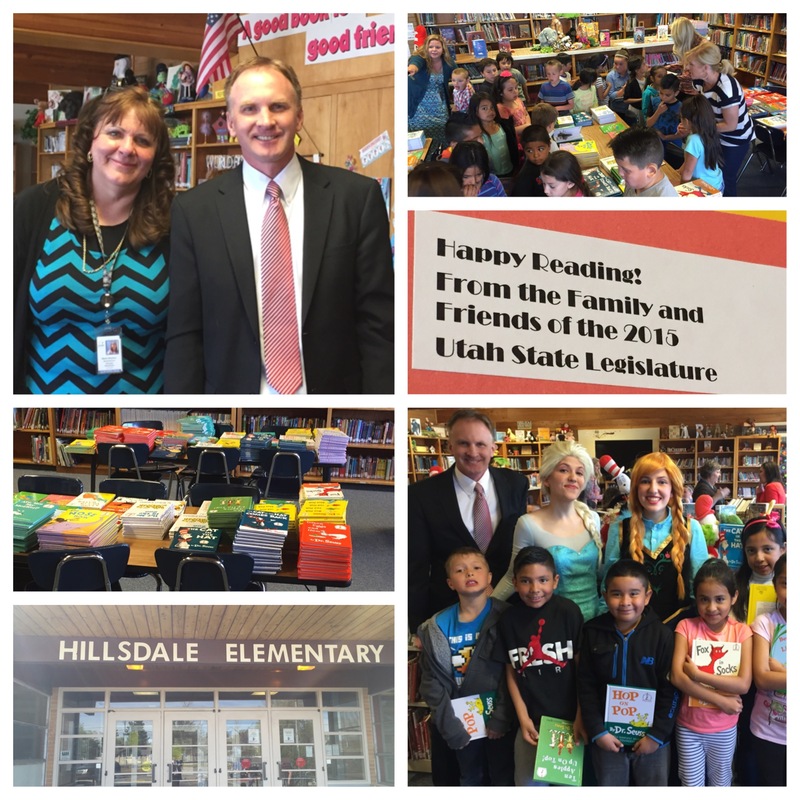 Every year the Utah Legislature and their spouses do a service project. This year we bought and collected about 900 children's books and donated them to Hillsdale Elementary, an elementary school in our District. Earlier this month we delivered the books! 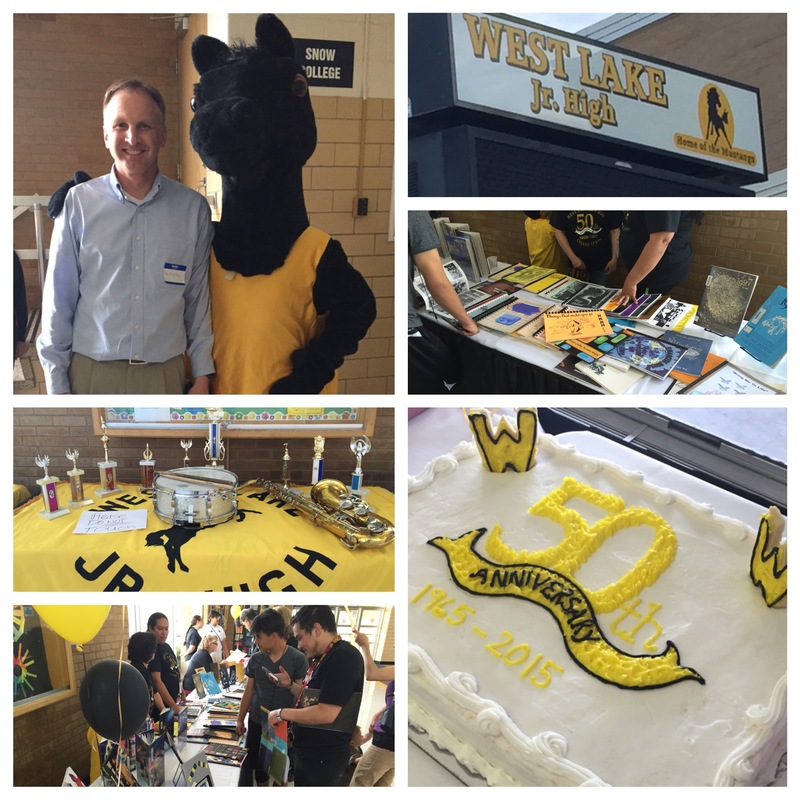 Thanks to Principal Wharton (upper left in photo) for helping us put this together. The kids were very excited. Elsa and Anna also made a guest appearance! Former Gov. 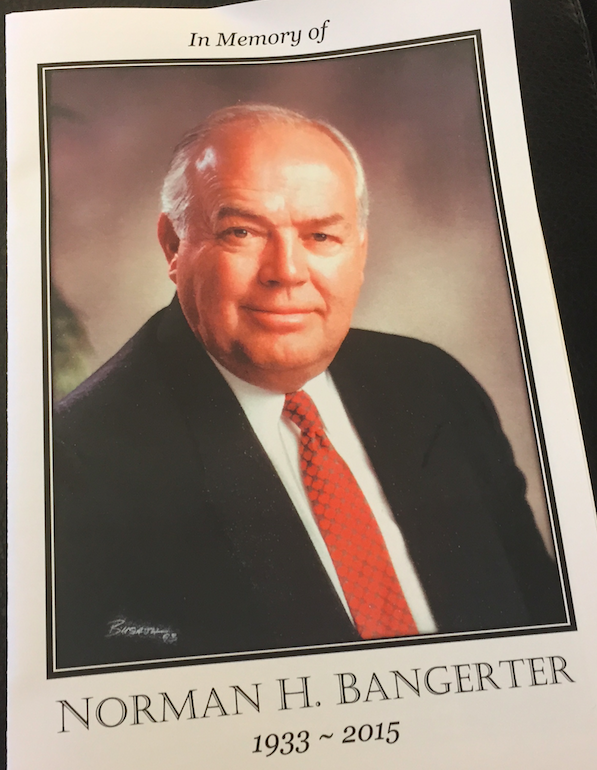 Norm Bangerter passed away on April 14th. Many of you know how much he meant to the Granger/West Valley community. He served as a member of the Utah House of Representatives (1975-1985), as Speaker of the House (1981-1985), and as Utah's Governor (1985-1993). He was a wonderful man and public servant. Condolences to his family and may he rest in peace.